Network News Music features news theme music from the broadcast networks, much of which has never been heard in its entirety. In an effort to highlight the wonderful qualities of the music and its composers, you can listen to the music in the way it actually was not intended to be heard: without voice-overs or fade outs to commercial. Schreer is best known these days for some of the best music used by Fox Sports and Fox News. When you think of the NFL on Fox, MLB on Fox and the O’Reilly Factor, his music immediately comes to mind. He has also composed a theme for Good Morning America in the late 90s (which, by the way, he did not keep a copy of in his personal archive). Schreer’s theme debuted when WNBC revamped its entire station image. 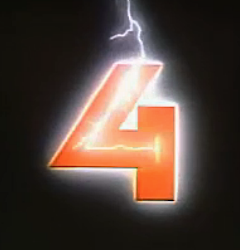 “NewsCenter 4” became “News 4 New York”. And at 5 p.m. a new newscast with a news-and-entertainment format debuted: “Live at Five”. The changes were a hit and WNBC’s news operation became the talk of the town. Some nice YouTube clips of the theme as used on the air after the jump. The British website devoted to TV presentation has an entire page dedicated to the News 4 New York of the 1980s. © 2002 - 2019 Network News Music.